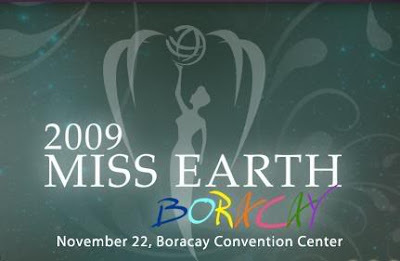 With the series of typhoons hitting Philippines and the rest of the world, this Miss Earth 2009 must indeed make a real legacy by compelling people to save the earth before it's really too late. I can only hope that each of us can be a be an earth person and help. Devil Wears a Prada- Just My Favorite Too! Bags and More Bags For Us!!! Fashion Accessoories Are More Saleable! Job Demo Outfit for Me! Do You Want These Beauty Cosmetics? General Santos Bloggers Fashion, Hmnnn! Cooler Fashion for Cooler Days!